Valka is a city in northern Latvia. It is the administrative center of the Valkas municipality. 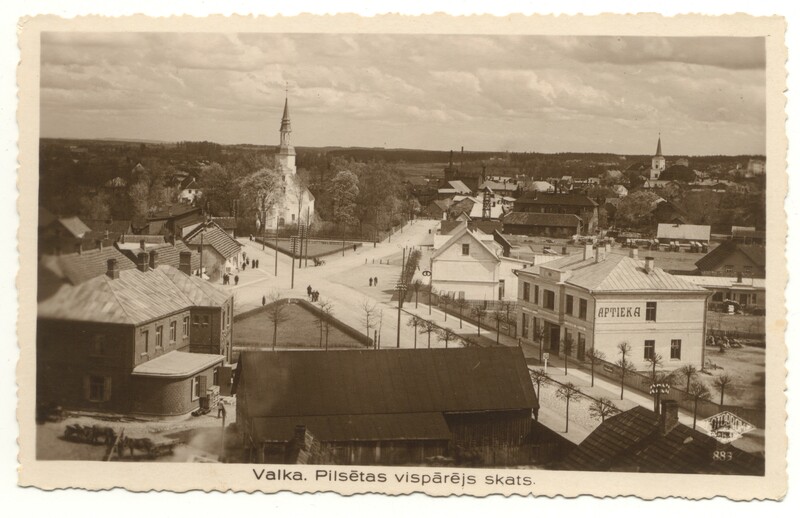 Valka in the north has a border with its twin city Valga, Estonia. The total area of the city Valka is 14.36 km². The population is 5,535 (on July 1, 2015). Distance from Riga - 160km, from Valmiera - 50km and from Tartu (Estonia) - 90km. It is believed that the city name Valka is related with Latvian verbs "vilkt" and "valkāt" or the noun "valks", which in the early days were used as a description for wetland areas or swamps. The noun "valks" originally described a place where people dragged their boats or cargo from the basin of the River Gauja to the River Pedele. Then they traveled to the basin of the River Emajegi and after that to Estonian lakes. In the Middle Ages Valka was located near a big traffic road, which connected Gauja and Seda to Pedele. First known documented mention of Valka (then known as Pedele) was in year 1286 at the Riga’s Debt Book. In year 1419, in Valka, Archbishop of Riga, Johan VI Ambundi, called together the confederation of Livonia for provincial assembly. In year 1582, Valka was governed by Polish–Lithuanian Commonwealth and in 1584 gained its city rights. Polish – Sweden war razed Valka and after the war it was under the rule of Swedish Livland. After the Great Northern War in 1721 Valka was under the rule of the Russian Empire. In 1849, the Livland’s teacher seminar was held in Valka instead of Valmiera. After the 1886, the main railroad crossroads that connected Riga, Pleskava, Pernava and Aluksne was established in Valka. On November 15, 1917, the decision to proclaim the independence of the Republic of Latvia was made in Valka. The red-white-red flag of Latvia was raised here for the first time. Valka was divided on July 1, 1920, when border was set between the newly independent states of Latvia and Estonia. As the members of the International Commission (Great Britain, Latvia, Estonia) couldn’t decide about the location of the border, the final decision was made by the chairman of the court of arbitration, the British colonel S.G. Tallents. The main part of the city was given to Estonia, but the suburban part – to Latvia. Varžupīte (the Frog river) that separated the Latvian Valka from the Estonian Valga, is located in the heart of both border towns since 1920. On December 21, 2007, when Latvia and Estonia joined the Schengen visa-free travel zone, Riga and Raja Street border post was officially opened by the President of Estonia, Toomas Hendrik Ilves and the former president of Latvia, Valdis Zatlers. Since then the border is not separating us – it is uniting us. 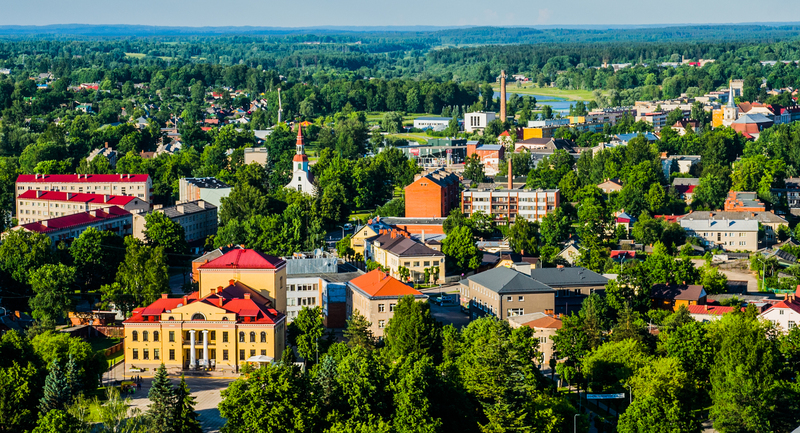 Welcome to crossroads of Latvia and Estonia in Valka-Valga: two states – one city!